5 1/2 x 14 1/2 x 13 in. 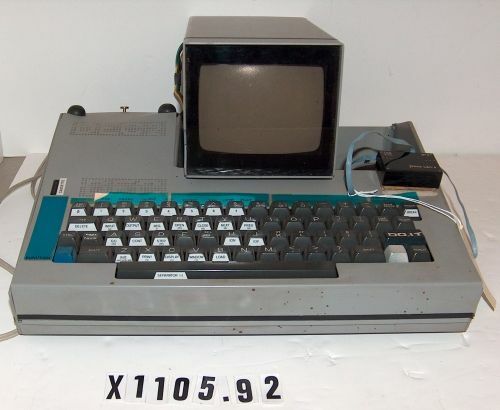 Object is a small computer with integral keyboard and a 5-inch monitor that sits in a well on the top rear. Very unusual linear-6-pin female I/O ports on the right, to one of which is plugged a small black box labelled micro leru 4.